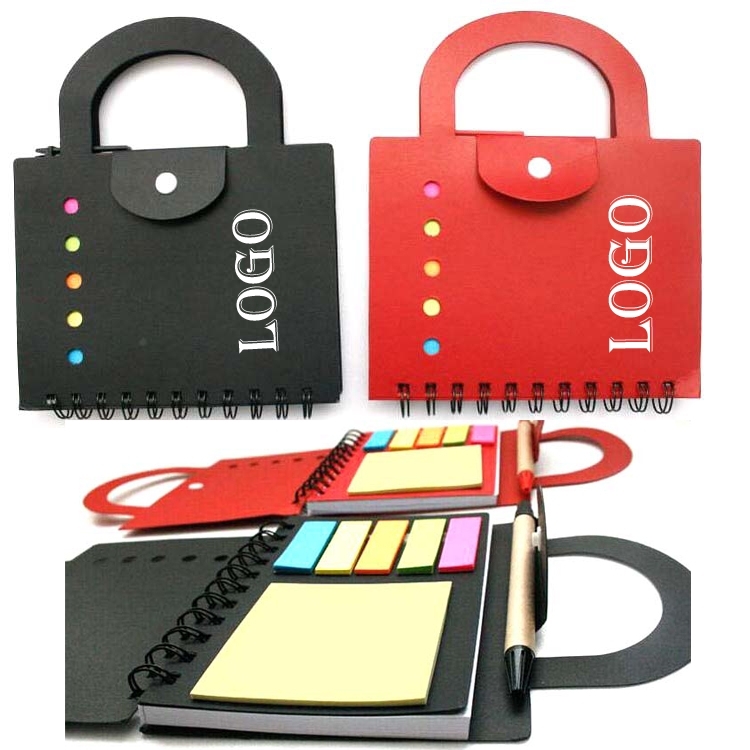 Notebook w/stick note and pen, this notebook in an unique design, like a lady handbag, put your logo on the cover as a promotional gifts, office supplies. Package: 1 pc/poly bag, 200 pcs/ctn. 68.2 lbs/ctn.